Cut Avocados into halves and remove pits. Separate Avocados from skin and cut into slices. 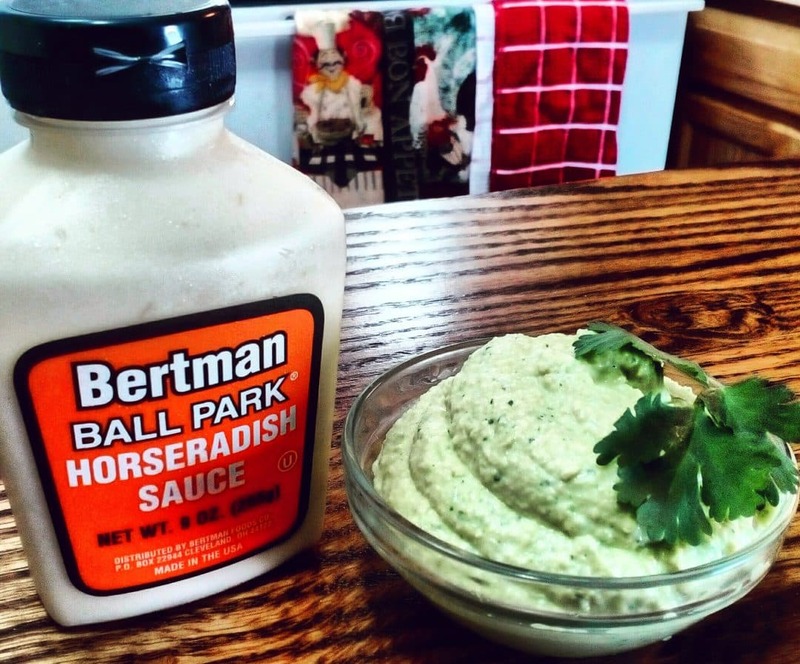 Place Avocado slices into bowl and combine with Minced Garlic, Lime Juice, Lime Zest, Cilantro and Bertman Original Horseradish Sauce. Mash ingredients with a fork or mix with a stick or standing blender. Add Salt and Pepper for additional flavor and enjoy!